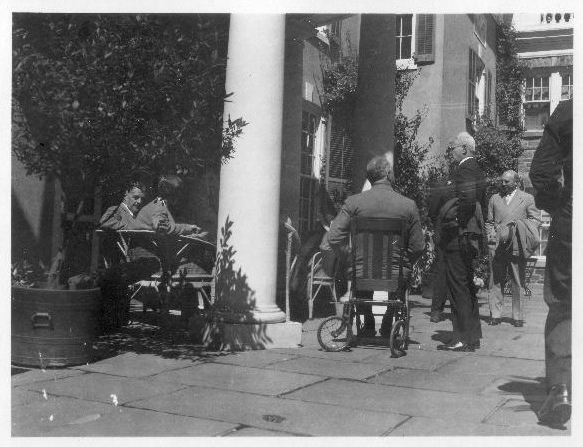 President Roosevelt dining with polio patients at Warm Springs, Georgia, the rehabilitation center that he made available to any polio victim in the country. 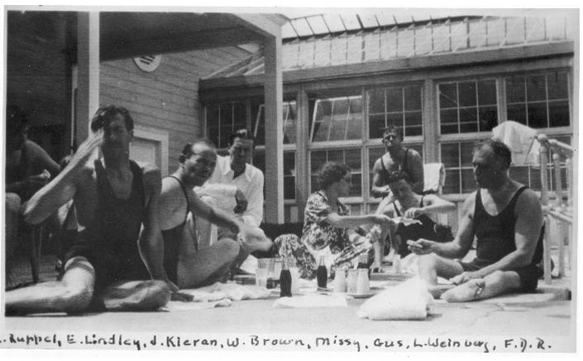 Initially, he funded the spa with his own money. 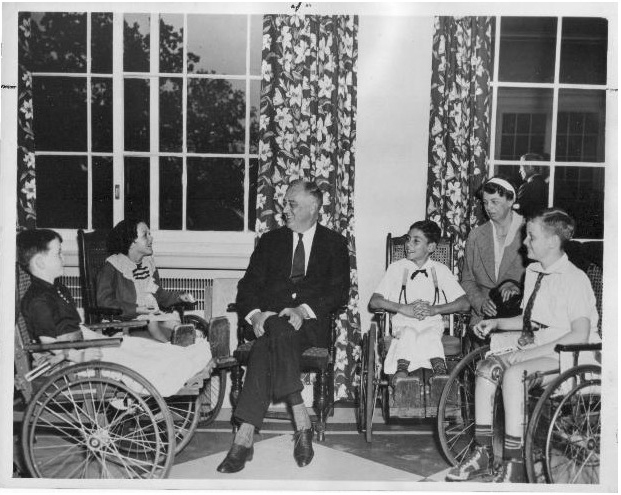 In 1938 he started the March of Dimes, a charity that supported Warm Springs and ultimately paid for the research that defeated polio with vaccines. 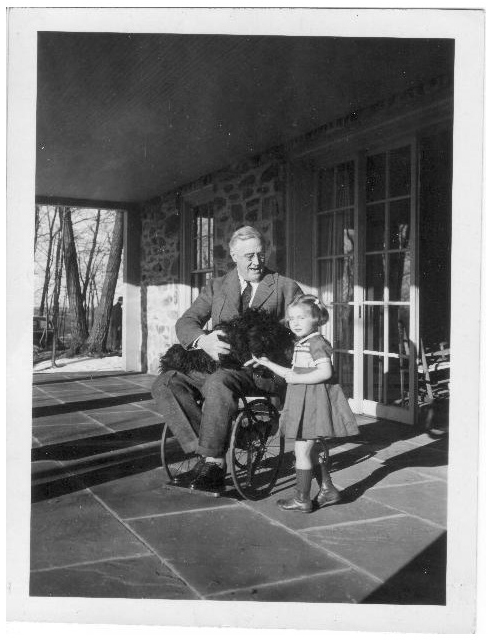 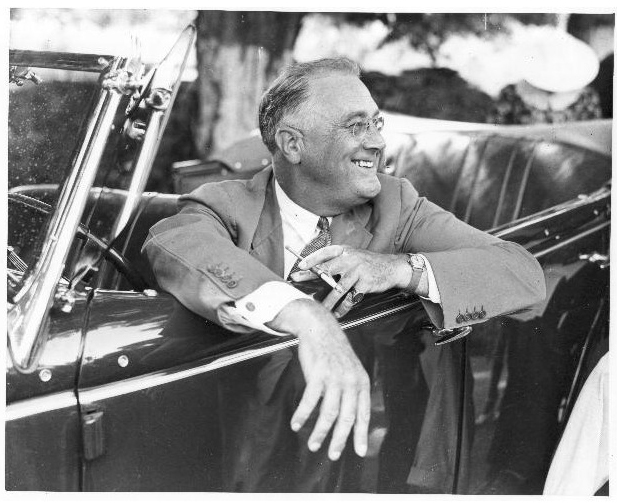 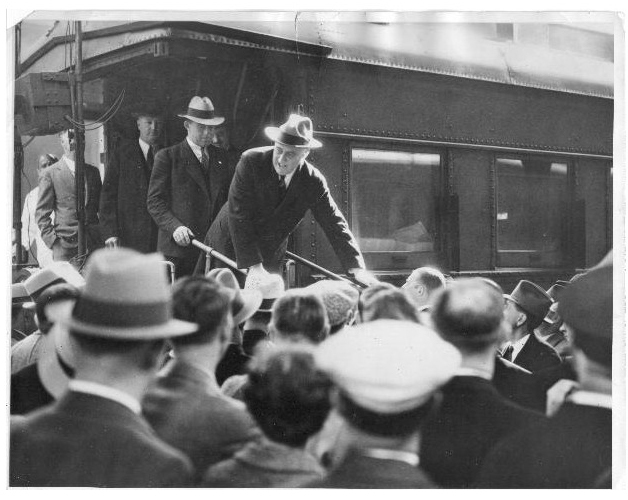 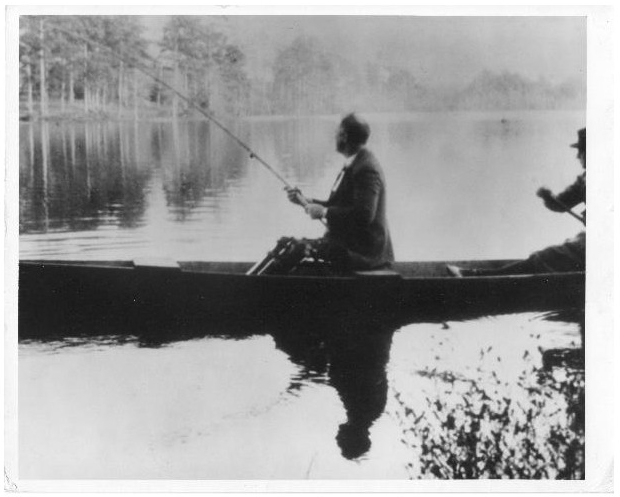 FDR’s disability is hinted at or fully on display in the above photos.